Mostly cloudy, breezy and mild early with a 30% chance of showers or isolated thunderstorms, becoming mostly sunny and mild this afternoon. High temperatures will be in the upper-70's. Expect south to southwest winds at 10-20 mph early, becoming northwest at 5-15 mph later today. Tonight, look for clear skies and cool temperatures. Overnight lows will in the upper-60's. We should have northwest winds at 5-10 mph. Tomorrow will bring sunny skies and warm temperatures. Expect northwest winds at 5-10 mph. High temperatures should be near 80. On Saturday, we will have sunny skies and mild to warm temperatures. Morning lows will be in the upper-60's and afternoon highs in the upper-70's to near 80. Look for variable winds, becoming southerly at 5-10 mph later in the day. SHORT TERM OUTLOOK:Mostly cloudy skies, brisk southeast winds and mild temperatures will prevail through early this morning with a slight chance of showers or an isolated thunderstorm, followed by clearing skies and mild to warm weather through Saturday as drier air moves into the area behind a weak cold front and the upper-level system over Texas moves east. This morning, a weak and slow--moving cold front is moving southeast across Texas with the frontal boundary extending from a low over the Big Bend area across Texas to a low over Missouri. To our east, high pressure is located over the Florida Panhandle and in the Atlantic. Meanwhile, to our northeast, a semi-stationary frontal boundary extends east from the low in Missouri across the Mid-South to the Atlantic before curving northward over New England to a low near Montreal. To the northwest, a Pacific cold front is moving southeastward from Northern California to a low in Montana, From there a Canadian cold front is dipping south into North Dakota. 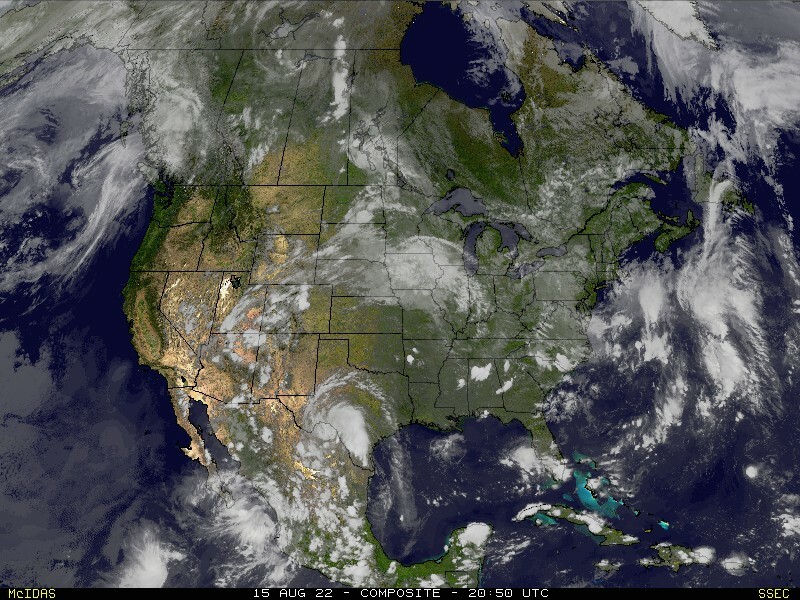 Finally, scattered areas of low pressure continue over the central Plains to the Desert Southwest and California. 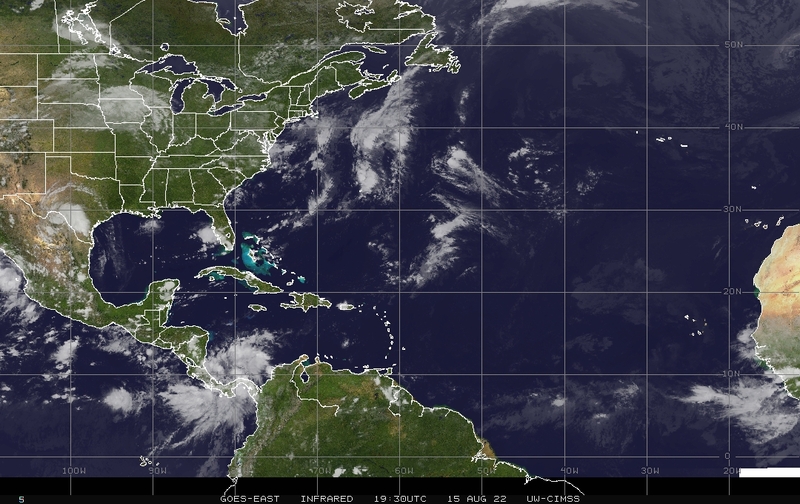 We continue to see a somewhat amplified pattern with an upper-level low over New England, high pressure over the Atlantic and Southeastern U.S. Closer to home, an upper-level low pressure trough is moving east across Texas with the trough digging southwestward from the east-central Plains to northern Mexico. Further west, high pressure is seen in the Pacific with the exception of a weak trough along the California coast. EXTENDED OUTLOOK:Cloudy skies, brisk southeast winds and a slight chance of showers or thunderstorms early this morning will give way to sunny skies and mild to warm temperatures by this afternoon through Saturday. We will see increasing southerly breezes and clouds on Sunday and Monday with a slight chance of light showers early next week as low pressure develops over the Plains. WEATHER 100 YEARS AGO TODAY:The low temperature on April 25, 1919 was 67 and the high was 77 degrees. No rain was measured. TODAY'S WEATHER TRIVIA:A chilly 45 degree low on this day in 1910 remains the coldest temperature ever recorded for so late in April.